Red Alert for those who are about to buy a house in 2014, as it’s time for the top 10. Already bought a house and not having a clue about some of those classics below? Best wishes for the new year. First of all hail to this year’s last new entrances in both GvZ and RKH’s lists. Bare Trees makes a spectacular entry at #7 (pushing Rumours aside from the list) while Forever Changes debuts at #8 and won’t probably be the last 1967 album near the top. DOK throws in his fourth Radiohead-album at #6, and it’s the first time we run into artists like Genesis, Paul Simon and Marvin Gaye. It will probably not be the last time for some of them, we’ll see on December 31st. 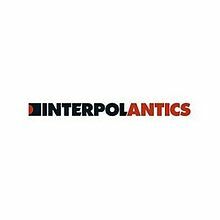 Oh, the snot has caked against my pants… One of the best tracks from one of the all-time best albums, featuring a great combo of acoustic and electric guitars. 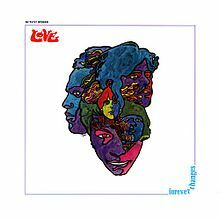 Being Love’s third album (“You said you would love me forever!” – “Well, forever changes.”), it was also the last with the ‘original’ line-up. 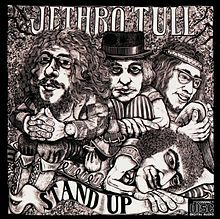 Troubles already arised during the recording of this one, as a number of band members were originally replaced by famous LA session musicians like Hal Blaine (drums) and Carol Kaye (bass). I guess I’ll take my pistol. 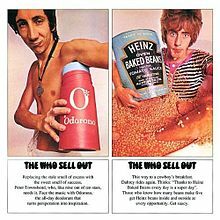 Staying in the same year, with the The Who’s third album.This is the one minute-intermezzo that follows up the shattering opening track, being one of the ridiculized commercials that link the songs together. Written (and ‘sung’) by John Entwistle, and reminding of Dylan’s ‘Rainy Day Women’- brass band on fast forward. Really great album. Album (‘A Good Beginning’) that makes you search for certain symbols and notations on your keyboard, after which you surrender and decide to just enjoy the music. 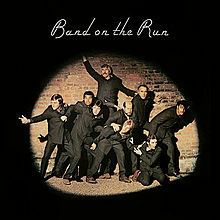 Second album from the band, a richly orchestrated one, on which this is the closing track. 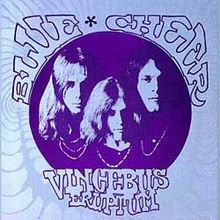 It consists of an alternative take of the instrumentals on ‘Starálfur’, closing the album in a dark way, resembling GYBE. However, the shuffle used the previous track as intro for what was about to follow, more post-rock from the late nineties. 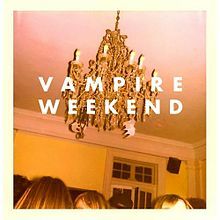 Because I mainly listened to their later work the past couple of months, I kind of lost this great debut out of sight. Time for some magnificent uptempo pop rock from the master himself. Closing track from his most praised album, with great vocals while the piano is set on fire . The instrumental powertrip towards the end can perfectly compete with some excellent prog rock from the same era. 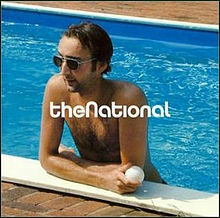 Another closing track, from The National’s debut album. Never given a fair chance after the hype that originated around the band later on, but that may not be an excuse to deny it. Another seasoned rock god with his legendary support group. One of the most accessible tracks on this great jam album. Sure, Neil searches for inspiration in his Canadian roots once again, but does it bother anyone? 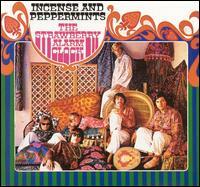 Typical psychedelic rock from ’67, very much resembling the sound of Jefferson Airplane. Not only instrumental, but also concerning the alternating vocals that remind of Balin and Slick, while as far as I know, there was not even a female vocalist involved in this band. Talking about female vocalists, track from Drake’s second album on which the backing vocals are provided by Pat Arnold and Doris Troy. 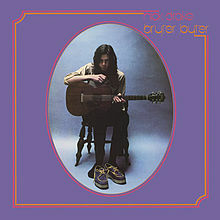 Just like on his debut Five Leaves Left, Drake is supported again by a number of great guest musicians like Richard Thompson and Dave Pegg from Fairport Convention and John Cale. Beautiful piano part. This week’s shuffle somehow closes in style, as it ended up to be an ode to instrumental music. From Neutral Milk Hotel’s second album, and reminding of what Beirut would come up with later. Both Radiohead’s Kid A and In Rainbows gain some places in GvZ’s and RKH’s lists, while Sgt. Pepper’s and Aqualung enter the top 15 out of the blue (ha!). Some new albums may also be expected in the top 10 this year, as In Search of the Lost Chord, The Band and Alien Lanes have lost ground. Meanwhile DOK finally found his box with sixties records, presenting a splendid christmas quartet from 1966 to 1969. Wish You Were Here is the seventh time Pink Floyd comes around, making it the runner-up if we have a look at the top bands, just behind Radiohead and The Beatles (8, solo albums not included). No doubt we’ll meet them again. Starting with Richard Tee this week, whose organ playing opens this song. 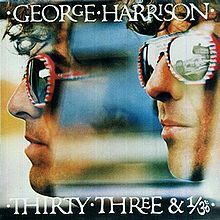 The acoustic guitar and soft voice that follow are these of George Harrison, on the second track of his sixth studio-album, definitely one of his best (with the title referring to the vinyl as well as his age at the time of recording). Harrison also plays the percussion and synthesizers on this song, while Premavatar Paramahansa Yogananda’s spirit sings to us. Sixth and final (+ Grammy winning) album from one of the greatest rock acts from the 21st century. 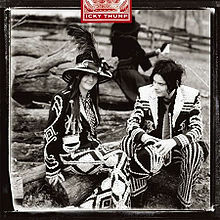 It was also the final (and third) single to be released from Icky Thump and its only cover song. ‘Conquest’ was originally written by Corky Robbins, but Jack White got fascinated by the song through Patti Page’s cover from the fifties. He rearranged it into a highly orchestrated track (featuring Regulo Aldama on trumpet) with those characterizing Stripes guitars during the chorus. Another great guitar song, a post-punk gem from Killing Joke’s debut album. 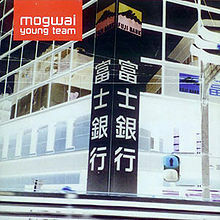 It was the first single from the album, featuring this great artwork. Album that requires the right timing to reveal itself, but that will spend weeks on your playlist afterwards. Second time that an organ (correction: a Wurlitzer electric piano) intro is followed by a divine and one of rock music’s most recognizable voices. 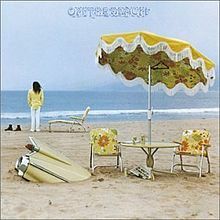 Although recorded after Tonight’s the Night, On the Beach became the follow-up album to Harvest. It’s definitely a personal favorite (lyrically as well as musically), but apparently it didn’t meet its high expectations when it was released. This is the second song on the album, featuring Levon Helm on drums and covered (just like ‘Cowgirl in the Sand’) already before Young’s release by The Byrds on their reunion album Byrds (1973). Up-tempo song and second single from the band’s debut album, which was a pleasant surprise in those years. A certain pattern in this week’s shuffle becomes clear, as all songs derive from the first three tracks on each respective album. The music for this song was written by guitarist Stone Gossard, after which Eddie Vedder added some quasi autobiographical lyrics to it about his death biological father. 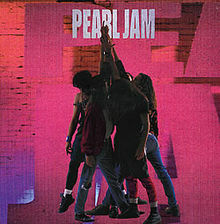 As a result, Vedder was invited to join this new band called Pearl Jam and this song became the legendary lead single of their debut album. 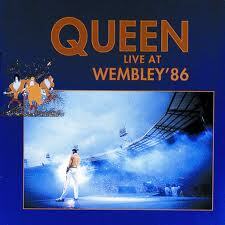 The live track of the week is delivered by Queen, just like last week, from the legendary concert at Wembley. Including great instrumental jam. 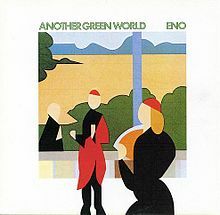 From Wembley’s applause into the opening tones of Eno’s third album. Although containing some great ‘popsongs’ that remind of Brian Wilson, the album mainly consists of instrumental, ambient, tracks like this one. Notice Phil Collins on drums and John Cale on viola. More seventies and more live music, with a ten minutes lasting cover of The Byrds’ ‘Eight Miles High’ (1966). 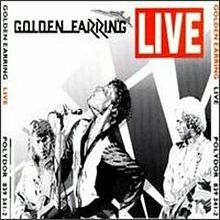 An undisputed highlight on this terrific live album, with droning drums and some quality guitar licks, recorded in London’s Rainbow Theatre. Album I acquired thanks to the band’s great debut album. A very decent follow-up, although not able to compete with Turn on the Bright Lights. Unfortunately, it all went downhill from here. The smaller the numbers, the bigger the names, as is clearly the case here. 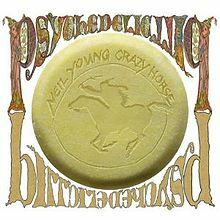 Four artists stand out this time: The Beatles, Radiohead, Bob Dylan and Neil Young. Rubber Soul is RKH’s first Beatles album in the list on #25, while it’s DOK’s second on #22 after Sgt. Pepper. 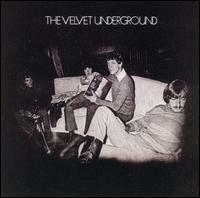 That one is GvZ’s second Fab Four album, preceded by Young and Dylan’s second. Other albums from them are found on the exact same spots in DOK’s and RKH’s lists respectively. 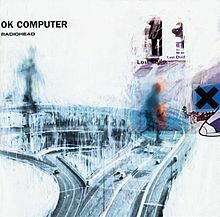 Last but not least, Radiohead features both those lists with Kid A as well as OK Computer. The smaller the numbers, the less the variety.